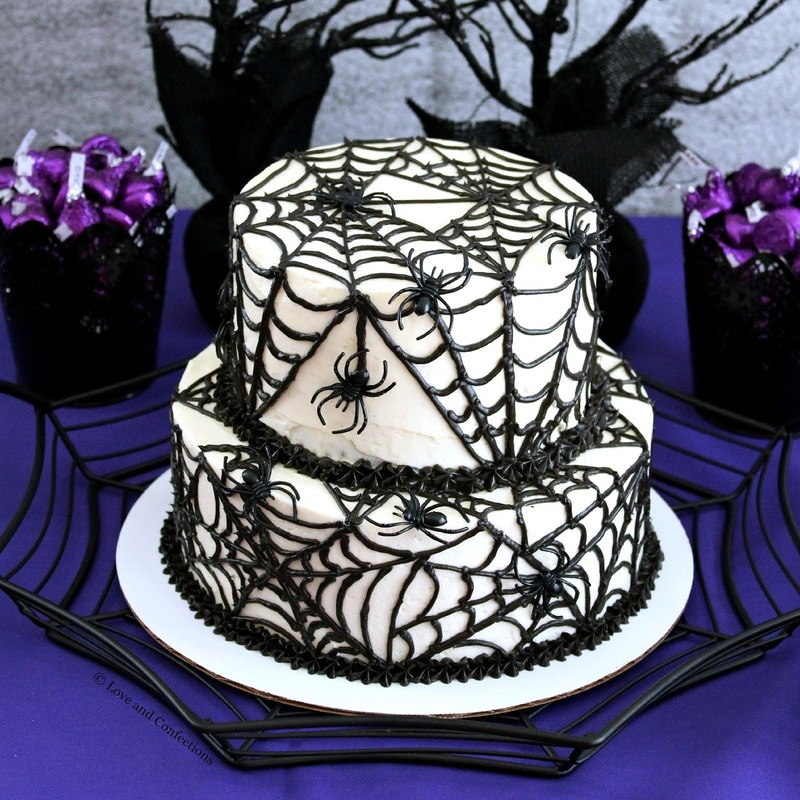 Black Velvet Cake, layered with a delicious vanilla bean buttercream and decorated with chocolate icing spiderwebs, is sure to get you in the Halloween spirit and make for a great dessert table centerpiece! I love everything about Halloween; it is my favorite holiday in the Fall. Cooler weather, dressing up, decorating my house, and most importantly, all the delicious baked goods. Every year I center around a theme, whether it be a movie, a book, or a general Halloween color scheme. This year my decorations have gone a little more glam. I decided to do purple and black as my main colors and focused on spiders and spiderwebs as my overall theme. A while ago, my mom bought me a black metal bowl and some candelabras that are decorated with spiders and look like spiderwebs. In the middle of September, I found some more matching pieces that I fell in love with and decided that spiders and spiderwebs has to be this year’s theme. I am making a dessert table for Halloween this year filled with all sorts of goodies, and my Dixie Crystals Black Velvet Spider Cake is the centerpiece. I love working around a theme and this year’s might be my favorite so far! Black and purple are great Halloween colors. While I do you work with fondant occasionally, I tend to use buttercream more often. 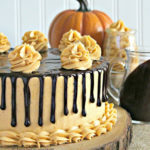 Black velvet is the perfect cake for Halloween – dark and spooky – and paired with vanilla bean buttercream is incredible. The icing decorations are my favorite part of the cake. They match my decor perfectly and add a touch of whimsy to the cake. I used a chocolate buttercream and tinted it black, but you could also use royal icing. Working with royal icing is a lot of fun and you can do so many different techniques with it. 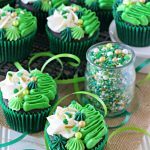 Intricate string work on cakes, piping and flooding on cookies, glazing or painting designs, and even “glue” for gingerbread houses, are just a few ways to use royal icing – depending on the consistency of the icing. 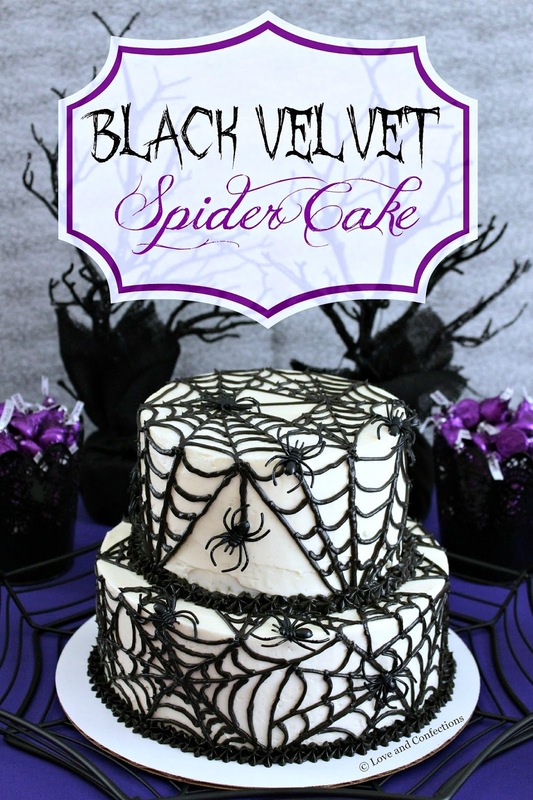 Black Velvet Spider Cake too! Cake adapted from Joy of Baking, double for multiple layers. 1. Heat oven to 350F. 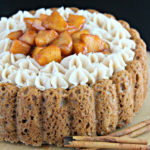 Butter cake pans and line the bottom with parchment circles. I used 2 8-inch cake pans for the bottom layer as well as 2 6-inch cake pans for the top layer. I also use a cupcake tin for the excess batter. 2. In a medium bowl, sift together the Cake Flour, Salt and Cocoa Powder, then set aside. 3. In the bowl of your stand mixer with the paddle attachment, beat the Butter until soft. Add in the Sugar and beat until the mixture is light and fluffy, about 2 minutes. Add the eggs, one at a time, and incorporate. Scrape down the sides of the bowl. Add in the Vanilla and beat to combine. 4. In a small bowl, whisk together the Buttermilk and Food Coloring. While the mixer is on low, alternate the flour and buttermilk, in 3 additions, starting and ending with the flour mixture. Scrape down the sides of the bowl to insure that everything is incorporated. 5. In a small bowl quickly stir together the Baking Soda and Vinegar. After it starts to fizz, gently fold into the batter. 6. Divide the batter evenly between the baking pans and smooth it out. Bake for 25-30 minutes, depending on your oven, or until a cake tester inserted in the middle comes out clean. Cool the cakes for 10 minutes in their pans, then remove from pans and cool completely on a cooling rack. 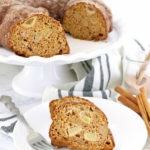 Once cool, wrap in plastic wrap and store in the refrigerator overnight. Repeat for more layers. 1. Prepare a piece of foil large enough to encompass the bowl of your stand mixer while it is whipping. In the bowl of your stand mixer, combine the Egg Whites and Granulated Sugar and whisk together. Place the bowl over a small pot of simmering water, making sure the bottom of the bowl does not touch the top of the water. Whisk constantly to prevent eggs from curdling. 2. Once the sugar has completely dissolved and the eggs are hot, place on your stand mixer, with the whip attachment, wrap the opening in foil, and turn the mixer on high. Whip until the mixture creates a meringue with stiff peaks. Remove foil and continue whipping until the mixture has cooled to room temperature. 3. Add in the Butter and Shortening, a few pieces at a time. Add in the Vanilla Bean Paste and combine. Scrape down the sides of the bowl to insure that it is completely mixed and whip more if necessary. Place in the refrigerator, covered, until needed. If using immediately, make sure it is pliable but not runny. If necessary, let it refrigerate until a good consistency. 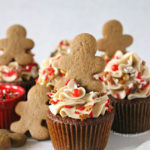 If making ahead, let it warm at room temperature and re-whip to make sure it is light and fluffy for frosting. 1. If necessary, keep Buttercream in the refrigerator while you cut the cakes into layers. A cake decorating turntable is recommended but not necessary. Start by using a large serrated knife and level off the top of the 8-inch cakes. Cut each cake layer in half, horizontally, to create 4 cake layers. Repeat with 6-inch cakes. 2. Place one of the cake layers on a cake board and spread with a thin layer of frosting. Place another layer on top and continue to frost and stack. Create a thin, even crumb-coating** on the top and sides of the cake and place in the freezer for a minimum 4 hours. Repeat with the 6-inch cakes. 3. Once the crumb-coating is completely dry, apply buttercream on top and sides, making sure your frosting is level and even. Place back in the freezer until hard. Use wooden dowels, cut to size, to support the top layer of cake. Place the top layer over the dowels and freeze until ready to decorate. 4. For spiderwebs, place desired amount of buttercream in the bowl of your stand mixer. Sift in 2-3 tablespoons cocoa powder and 1/2 cup Dixie Crystals Powdered Sugar, and up to 1 teaspoon of black gel food coloring. Use more cocoa powder or gel food coloring, if necessary, to get desired consistency and color. 5. Place buttercream in piping bag, fitted with a #2 round tip. You can use a #3 or #4, but the lines will be larger and not as detailed. Pipe buttercream in a web pattern all over the cake. 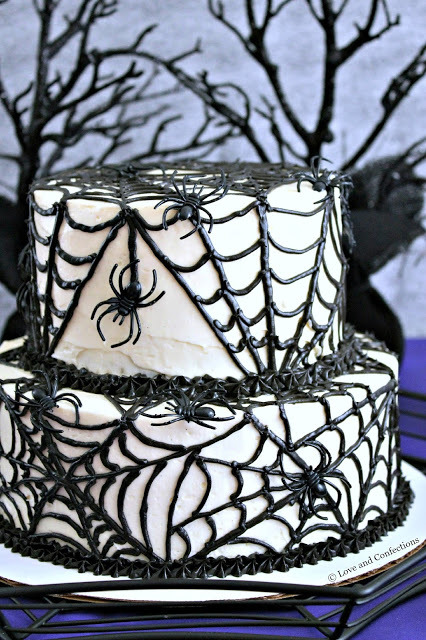 Affix black spiders onto the cakes with a small amount of buttercream. 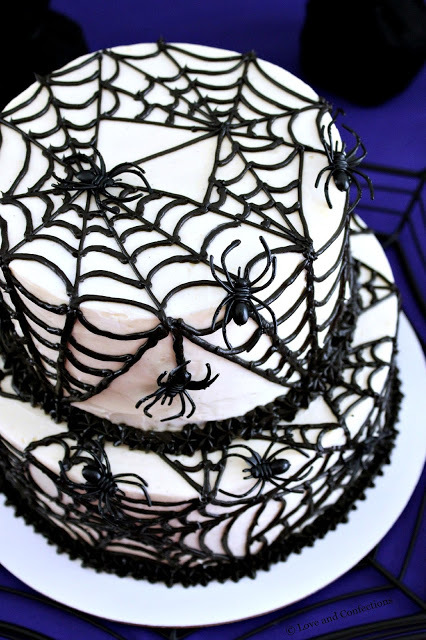 Alternatively, you can create your own spiders and webs from royal icing or chocolate and attach before serving. Store the cake in the refrigerator until needed. Enjoy! *The 8-inch layer used 1 Black Velvet Cake recipe. The 6-inch layer used 2/3rd of another Black Velvet Cake recipe. With the extra batter, I made 5 cupcakes. 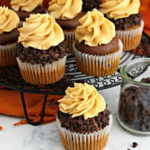 **Crumb-Coating helps especially when you have dark cakes and lighter frosting, and it helps prevent cake crumbs in your frosting. The thin layer of frosting dries, like a primer, and creates a clean area to frost the buttercream. This post is sponsored by Dixie Crystals. All opinions are my own. This post contains affiliate links. Thank you for supporting the brands and products that make Love and Confections possible. WOW!!! This is incredible, Terri! I know who I'm calling when I need a specialty cake 😉 You've got some mad skills girl! 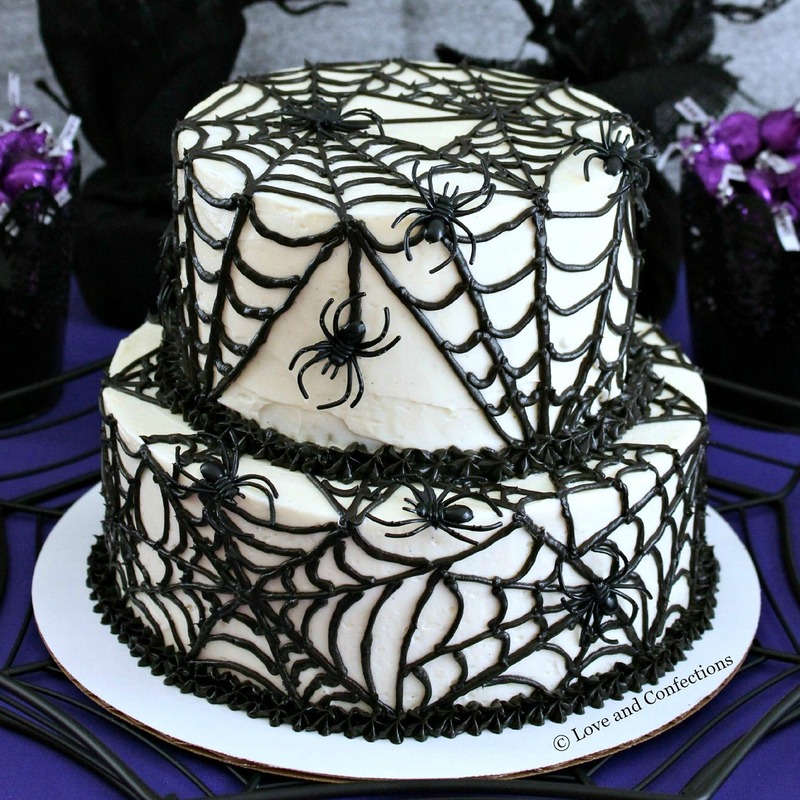 Love the black and purple with the spiderweb theme! Did I mention those cupcakes?! They are adorable too! That purple! Love it!! Thanks Marion! This was such a fun cake to make! I think the black and purple make it extra special. I bow to the greatness of your cake decorating skills. Beautiful! and I bet it tastes every bit as good as it looks! This cake is GORGEOUS, Terri! I love every part of it and your table is perfect. I just wish I lived closer because I would camp out at your house for the holiday. That is one gorgeous cake!!! WOW! WOW! WOW! this is amazing!!! 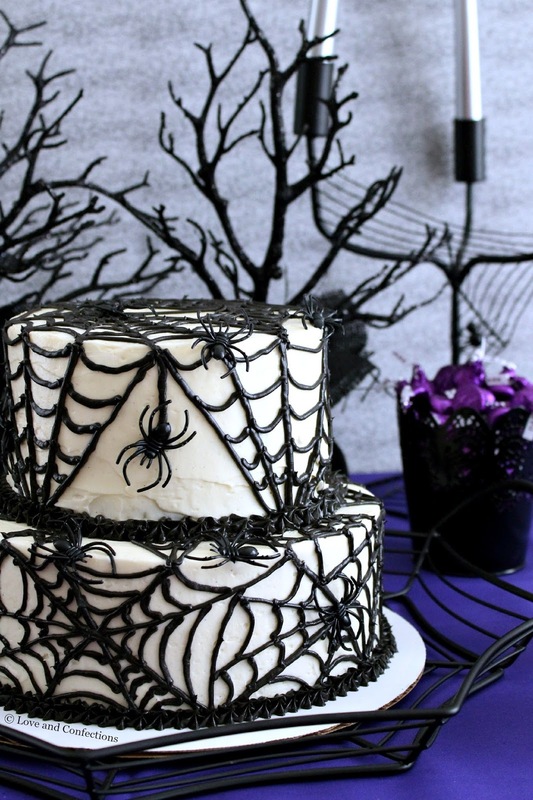 Perfect for a Halloween gathering! I know who to call when a client request a cake! This is the most elegant Halloween cake I have ever seen. Wow! I envy your cake decorating skills! This is so beautiful. This is honestly the most beautiful cake I have ever seen. You're incredible! Hello! 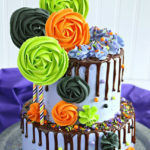 Im going to attempt to make this cake for my daughters 14th birthday, which happens to be on Halloween. On experienced at decent cakes, but not at all at decorating, and I have none of the fancy tools! Wish me luck! I just want to be clear, to make the cake as seen, I ONLY need to double the cake recipe? Frosting too? I'm also wondering if this will store well if I frost it the day before serving? Thank you so much! Hi. 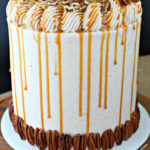 I doubled the recipe and made it into 2 8inch and 2 6inch cakes for the tiers. The frosting should be plenty for those size cakes. 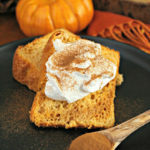 If you are worried about frosting, you can increase your powdered sugar by a couple cups. You can also cut down on the black food coloring if you prefer, since it is quite a bit of black, but I wanted a really really black cake. It refrigerates fine – you will need to let it sit out 15-30 before serving if refrigerated.